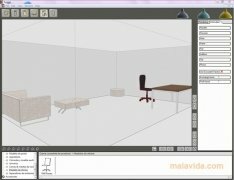 If you want to known what your bedroom, living room or dining room will look like before furnishing it, Furnish is the application that will help you do so. 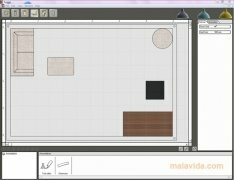 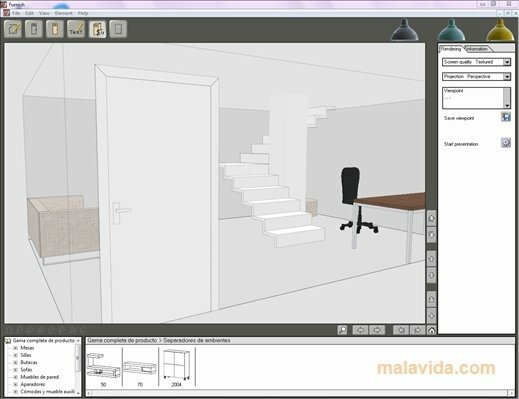 This software includes a large catalog of objects and furniture so that you can place them on the plan exactly where they should go. 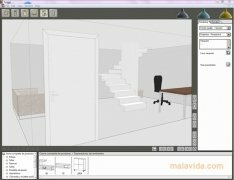 Its furniture catalog is really large: chairs, armchairs, sofas, tables, stairs, pillars, doors, tables,... practically any object that can be placed in a house is available and, what's more, many of them have an illustrative price. 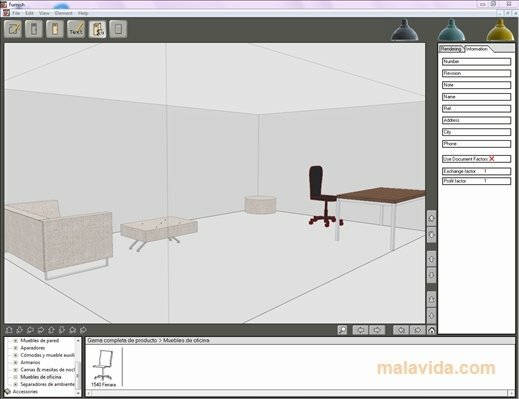 The greatest advantage of Furnish is that, as well as seeing the plan from above in 2D, we will be able to render it in 3D to be able to see different perspectives, thus it will be a lot easier to have a general idea of what a room will really look like. 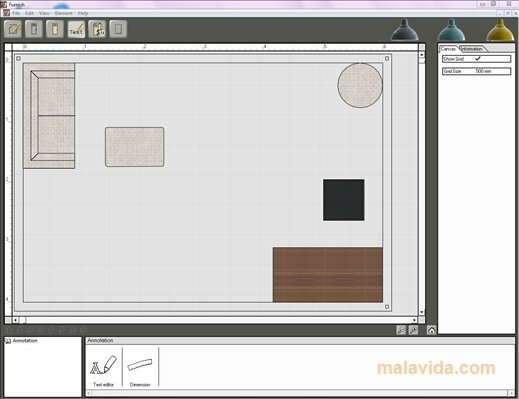 This program is really easy to use, because it includes a large visualization area on the top part and a library with all the objects on the bottom part, so that by simply dragging and dropping the furniture that we want, it will automatically appear in its place.